Using a 10-minute Daily Review is a sure-fire way to leave work every day and feel a sense of accomplishment. Additionally, you will enjoy the corresponding decrease in stress that comes with knowing you completed everything you wanted to get done for the day. If you follow GTD and keep your trusted system up to date with specific Next Actions for your Projects, then it is easy to do this by performing a 10-minute Daily Review every morning. A Daily Review consists of two things – 1) review your calendar for available time that day 2) scan your Next Action lists and decide what you want to complete before going home from work. It’s that simple and usually doesn’t even take 10 minutes. For me, it is as simple as carving out 10 minutes first thing every morning to look at my calendar to get a sense of what my day looks like. Then, once I know how much available time I have and what the blocks of time look like (large contiguous chunks or small fragmented ones) I have the appropriate context to decide what I want to tackle for the day. I simply scan my Next Actions and mark those items with a “Today” tag. Finally, I filter those items with the Today tag so I only have the items I have decided I want to accomplish that day. Since Evernote works on my Mac, PC, iPhone, iPad and Galaxy Edge, I have my Today list on each of the devices I use. I leave this Today list up on all my devices and during the course of the day as I accomplish items on the list I delete them. As soon as I have an empty Today list, I know I have completed all the agreements I have with myself for the day. 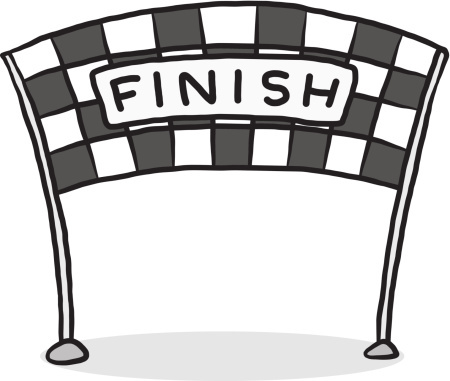 By doing a Daily Review each morning and deciding exactly what I intend to accomplish that day, I effectively create a “finishing line” at the end of each workday. Once I cross that imaginary line, I can start to put the workday behind me and start shifting my attitude, heart, and mind towards the next part of my day — whether that’s social, exercise, recreation, or family time. I can’t tell you what a great feeling it is to look at that empty Today list and know that I have accomplished everything I set out to do for the day. This knowledge allows me to drive home and decompress by tuning out by watching TV, reading a book, talking to my wife and kids or whatever. I’m in the mood to relax and refresh knowing I had a productive day. Performing a Daily Review allows you to clarify your thoughts, collect yourself, refresh and renew, by setting yourself up for having a feeling of accomplishment. Equally important, is the ability to forget all the things I didn’t do because I consciously choose not to do them but are still on my plate is essential to relieving stress. Successful task management is really agreement management. At the end of the day, how good you feel about what you did and didn’t do correlates to how well you think you kept agreements with yourself. Did you actually do what you told yourself you would do? I believe in outcomes and results, not time worked or effort exerted. Once I have completed all the items on my Today list I can go home feeling good about myself no matter what time that is – sometimes it’s late at night and sometimes it’s early in the evening. In those situations, I can feel good about going home earlier than normal. It is a wonderful feeling knowing I accomplished all the agreements I made with myself. Since I have started this practice, I am far less distracted when I arrive home. I feel more in control, and have a feeling of clarity about what I have accomplished towards completing my priorities. Most importantly, it enables me to “switch off” from work when I’m at home and engage fully with the people I love most. Crossing your finish line each day is something that not only leaves you feeling satisfied and fulfilled, but motivates you to finish well and decreases your stress.